Lock in a great price for Albyn Townhouse – rated 9.5 by recent guests! Staff was amazing and the place gorgeous. If you wanna some place to rest and disconnect from city is a really good place to stay. We loved the breakfast which included hot dishes made to order plus cereals, homemade pound cakes, compotes, and juices. Of the 8 places we stayed in the UK, this was the second best room, after a giant one in a castle. 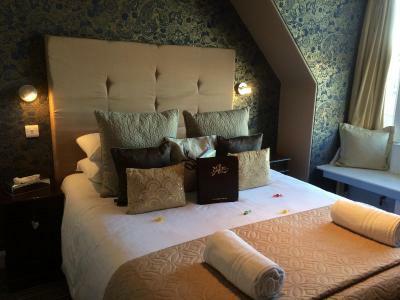 The honeymoon suite, room 6, is spacious with a seating area, king bed, and large bathroom. Lydie & Dave were wonderful hodts. Our rooms were clean with comfortable beds. The breakfast was delicious. The place is charming and very cozy. Staff was friendly and helpful. Breakfast was excellent, delicious and they can customize them. Area is quiet and safe. The room was lovely and spotless. The staff was charming and accommodating. This B&B is amazing!!! Quaint, quirky little place that is absolutely spotless. Our room was HUGE, and I mean huge - soaring ceilings, tall windows and plenty of space to relax in. Breakfast in the morning was delicious - hot and cooked to order, in addition to some yummy baked goods and cereals. Lydie and David were such gems - so kind and helpful. We were really sad we were only there for one night! The parking was also super helpful to have, and a steal at 5 pounds/night. We will absolutely be back when in Edinburgh next! Greater than expected, highly recommended, perfect breakfast, nicely decorated, comfortable and clean, truly perfect place to stay! Staff is extremely friendly and helpful. Food for vegans. Hooray. Great restaurants two blocks away. A great vegan restaurant three blocks away. Try the cakes. 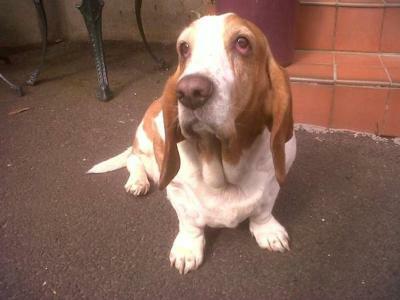 Owners "over the top friendly". The hosts were great and accommodating. The waitresses were very nice and friendly. It was a great atmosphere. The room was very comfortable. The food was great. 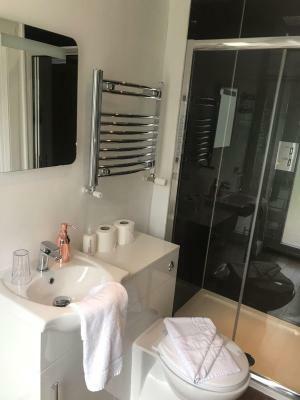 Albyn Townhouse This rating is a reflection of how the property compares to the industry standard when it comes to price, facilities and services available. It's based on a self-evaluation by the property. Use this rating to help choose your stay! 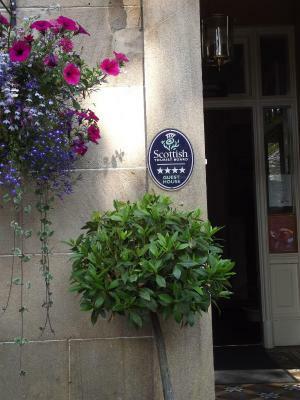 Just 20 minutes’ walk from Edinburgh Medieval City, The Albyn Townhouse offers 4-star, family-run B&B accommodations with king-size beds and full Scottish breakfasts within a 4-story, 19th-century town house. All rooms at The Albyn offer flat-screen TVs, free Wi-Fi, and the option of king-size beds in all rooms. Hairdryers and tea and coffee-making facilities are also available to guests. 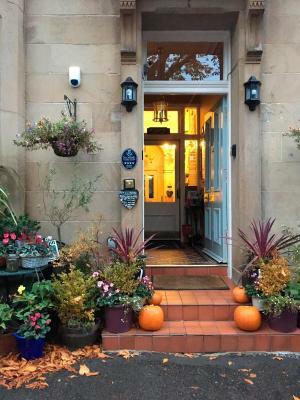 Guests can enjoy a full home-cooked Scottish breakfast at The Albyn Townhouse, as well as a wider selection of breakfasts including vegetarian and vegan breakfasts, porridge, fresh fruit, homemade cakes, jams and compotes. Edinburgh’s Haymarket Rail Station is 20 minutes’ walk away. The center of Edinburgh, along with the famed Royal Mile and Edinburgh's Old Town, is less than 20 minutes’ walk away, or 10 minutes by bus. 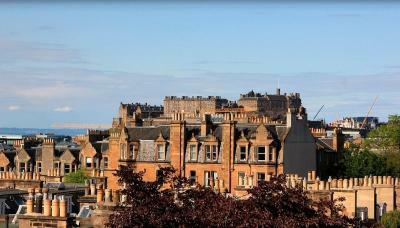 Bruntsfield is a great choice for travelers interested in city walks, shopping and atmosphere. 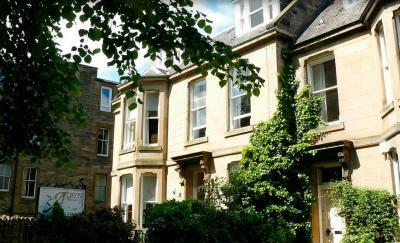 뀐 Located in the top-rated area in Edinburgh, this property has an excellent location score of 9.1! 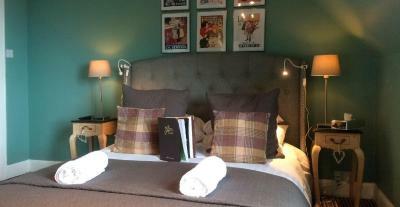 When would you like to stay at Albyn Townhouse? 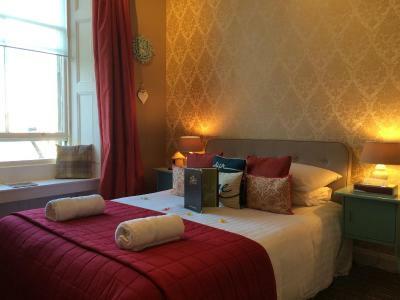 Located on the first floor (24 steps up) or second floor (47 steps up), these rooms are beautifully and uniquely decorated, and offer a sitting area and a king-size bed, with an en suite shower room. Free WiFi is also available. These rooms cannot accommodate a baby cot bed. These rooms are on the first floor (24 steps up), these rooms are uniquely decorated, and offer a seating area with a sofa and a private bathroom with a shower. The room has tea/coffee making facilities and a flat-screen TV. Please specify your bed preference at the time of booking. Located on the 2nd floor, this spacious room offers a seating area with a sofa, a king-size bed and an private bathroom. Free WiFi is also available. This room is located at ground floor entrance of the guest house. 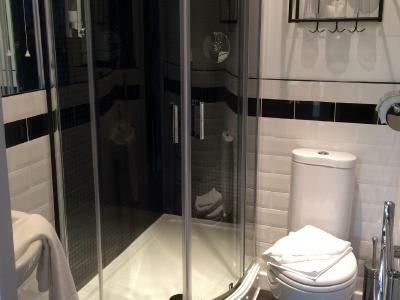 Beautifully decorated, it has a double bed (140 x 200), desk, window seat and private bathroom with a shower. It also features tea and coffee facilities, flat screen TV, hairdryer and Free WiFi. This room accommodates one person only. 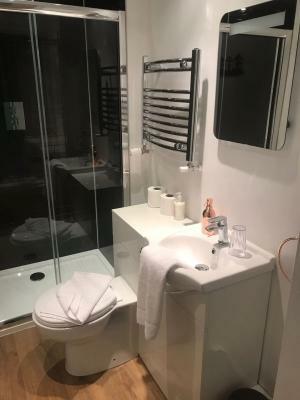 Located within the basement of this 4 story townhouse with views of the garden, this room is newly designed and offers a UK king size bed (150x200), seating area with sofa and private bathroom. Breakfast is not included but is available upon request at GBP 9 per person. Free WiFi is also available. Located within the basement of this 4 story townhouse with views of the garden, this room is newly designed and offers a EU king size bed (160x200), seating area with sofa and private bathroom. Please note that the private bathroom is located outside of the room. 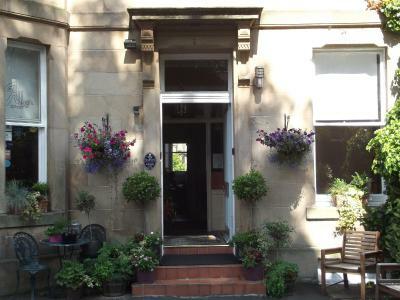 The Albyn Townhouse is our home and offers traditional B&B accommodation. Not a walker? 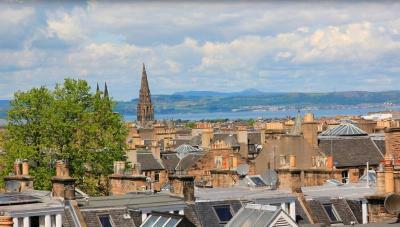 Edinburgh is built on 7 hills! it is not for the faint hearted. Please bear this fact in mind when booking with us & also the fact that we are not a hotel and therefore do not offer the same facilities. Our extensive menu comprises many homemade delicacies & is cooked fresh on the day, using local produces: try Mama's cakes, Jams & compotes, all good for you! 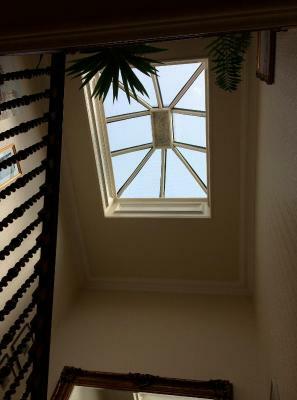 There is no elevator, the Albyn is a listed Victorian building within a 4-storey, 19th-century traditional town house. Beware of heavy luggage, due to illness I am unable to carry heavier luggage than 5 kilos. Area Info – This neighborhood is a great choice for travelers interested in city walks, shopping and atmosphere – Check location Excellent location – show map Guests loved walking around the neighborhood! 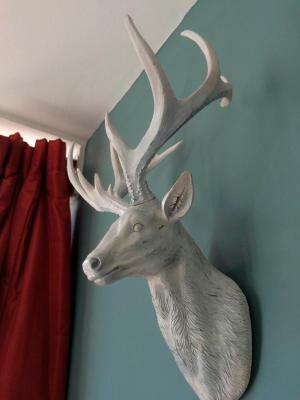 House Rules Albyn Townhouse takes special requests – add in the next step! Albyn Townhouse accepts these cards and reserves the right to temporarily hold an amount prior to arrival. Check in is between 16:00 and 20:00 Monday to Friday and between 10:30 and 13:00 on the weekends. Arrivals outside these hours will be self check in. Please note that the property does not take group bookings of more than 2 rooms. One baby cot is available and can be added in Superior Double rooms or Twin rooms only. Only children aged 2 years and younger can use the baby cots. Extra beds cannot be provided. The maximum room occupancy cannot be exceeded. If you wish to check in outside of the stated hours then please advise the property and they will send you a key code. For late arrivals after 20:00 or if you have not made the property aware of your arrival time, an access code is automatically sent by SMS. Please make sure a valid mobile telephone number is provided with your country dialing code. Private parking is available for GBP 5 per night, from 10:30 to 10:30. There are only 3 parking spaces, no parking is guaranteed until confirmed by the property. Parking is payable at the property in cash only. Luggage can be left in an unlocked room after check-out until 20:00 on the same day. Please inform Albyn Townhouse of your expected arrival time in advance. You can use the Special Requests box when booking, or contact the property directly using the contact details in your confirmation. The parking was a bit confusing. We had a great time in this nice, cosy, clean and lovely place. Communication with Lydie was great before and during our stay. She was very helpful. Thank you! Nothing major. We were on the top floor, so the pressure in the shower was limited. There was a fluctuation in the availability of hot water. Room size was a bit tight around the bed, but these are very minor points. The house was very clean, well decorated, with a nice atmosphere. The staff very very friendly. A good choice of breakfast and good location for our visit. Really friendly owner and staff from start to finish. Good location for exploring, ground floor room was great. It was only one night, but we could have stayed longer. We were made very welcome and the breakfast was varied and delicious. Also the hotel was very tastefully decorated. The bed was not comfortable as there was a dip in the middle of my bed. Since our room was on the ground floor, we could hear everything and everyone from inside the room. Also the house has wooden floor so we could hear loud squeaking noises from the wooden floor upstairs when people were walking in their room which kept me up at nights. Friendly staff and spacious and tidy room/bathroom. Great area with load of interesting boutique shops around. There were other guests who were loud until at least 2 am and they kept us awake. The room was very clean and comfortable. The food was very good and everyone who assisted us was friendly and helpful. Pancakes could be a little "fluffier" Just possibly: mattress, though fine, could be just a little softer. Pleasant dining room. Quiet bed-room. Although there was some lovely period furniture, the decor in the room was a bit fussy but that is only a personal preference. Keys were a little tricky. The memory foam Bed was amazing!